Jonathan Spiers wrote: Plans for a prime piece of Scott’s Addition-area real estate have changed along with its ownership, following a pair of land deals including the neighboring River City Roll bowling alley site. The Interbake Foods warehouse property at 947-949 Myers St. sold April 4 for $5.17 million to a group that includes Spy Rock Real Estate and principals with Stanley Shield Partnership. The deal includes an adjoining 0.7-acre property at 950 Terminal Place. 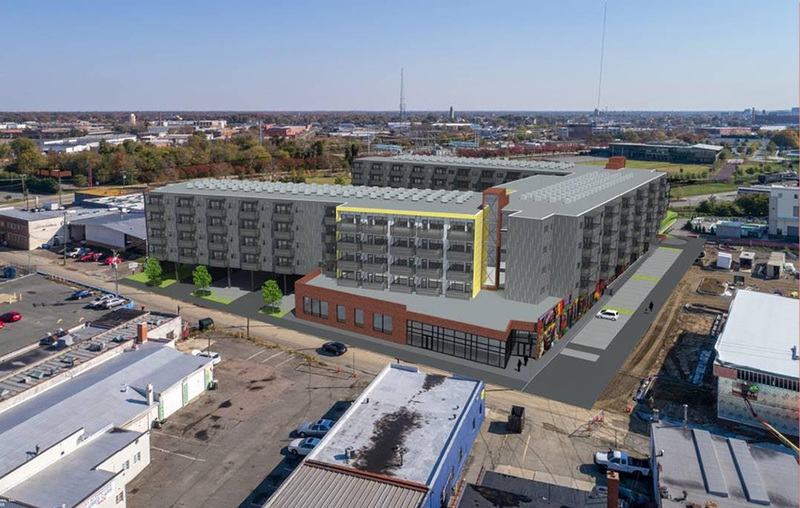 The group is eyeing the properties for a mixed-use development that would include residential units above commercial space, with surface parking filling out the nearly 2.5-acre Myers Street property beside the almost-open bowling alley and the Cookie Factory Lofts. The same day, the group purchased the neighboring River City Roll site at 939 Myers St. for $2 million. The 1.7-acre property was most recently assessed at $2.29 million. Spy Rock principal Andrew Basham said the bowling alley’s long-term ground lease for that property is unchanged by the sale. Both properties had been owned by entities led by Midlothian-based Rebkee Co.
For the Interbake warehouse site, Rebkee, along with developers Dan Gecker and Steve Leibovic, had initially pondered a three-story, 64,000-square-foot office building. That group, which redeveloped the adjacent Interbake building into the Cookie Factory Lofts, had been gauging market interest since announcing the project last June. Basham said he didn’t know what changed with that plan. Rebkee principal Rob Hargett said Spy Rock and Stanley Shield would do well with the property, adding that Rebkee continues to own the Interbake apartments and is a passive investor in River City Roll. A development plan submitted to the city shows a five-story building with four levels of residential units above ground-floor commercial space. Heard construction had started on this project. Thank you Eric. I'll head out this weekend for some photos. Also moving this thread to U/C Forum.